It is a classic Disney princess tale come true. An unlikely woman steals the heart of an unsuspecting prince. It is something that many women dream of, but very few actually get the chance to marry Royal. I am a huge supporter of Prince Harry and Meghan and am delighted to share the timeline of their relationship with you. Here is everything you need to know about the happy couple to be! The Groom to be: Prince Harry of Wales. Meghan Markle is a biracial bombshell who also happens to be an actress on the drama series Suits. She was raised in Los Angeles and spent a lot of time on television sets as her father worked as a lighting director for shows. Naturally she developed a passion for acting and had a successful career before starting a new chapter of her life with the Prince. 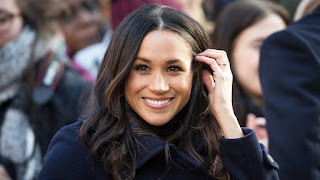 Meghan's longtime best friend arranged for Meghan to meet the Prince in London. Both Harry and Meghan will admit that it was totally a blind date. 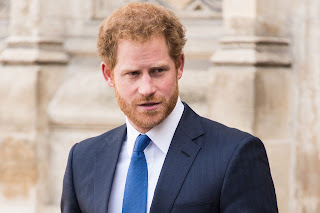 Harry says that he doesn't watch much television and was not familiar with Meghan at all. He did say that when he first saw her, he felt he needed to up his game. (omg) He later admitted that he knew she was the one he would marry the very first time they met! The blind date was a success so they met again the next day. They both worked diligently to coordinate their schedules for another meeting. They were both so busy doing charity work that it was a bit difficult to get time together, but they were determined none the less. 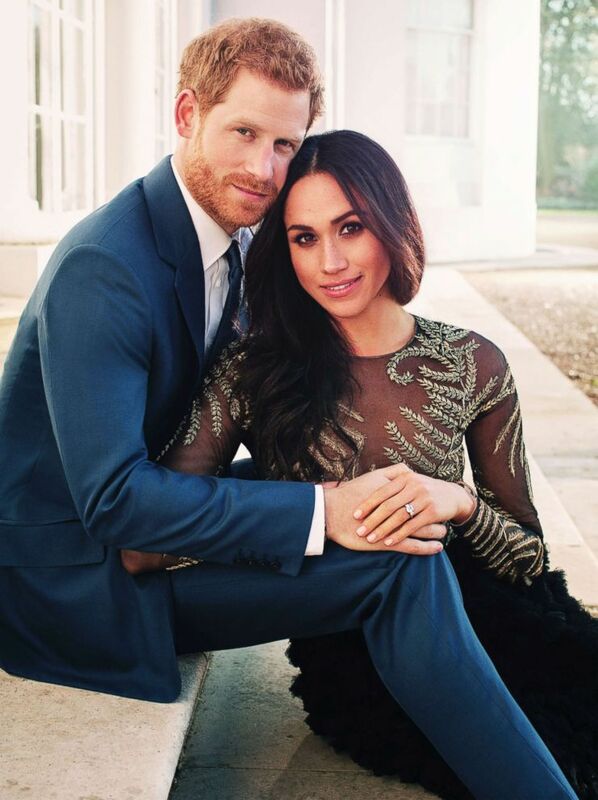 Harry convinced Meghan to travel to Bostwana with him, where they camped out under the stars for five days. That gave them adequate time to really become familiar with each other. In October of 2016, the word began to spread that the couple was dating. Nothing had been confirmed yet, but Harry and Meghan were dating privately to avoid the public noise. In November of 2016 the haters arrived, front and center. 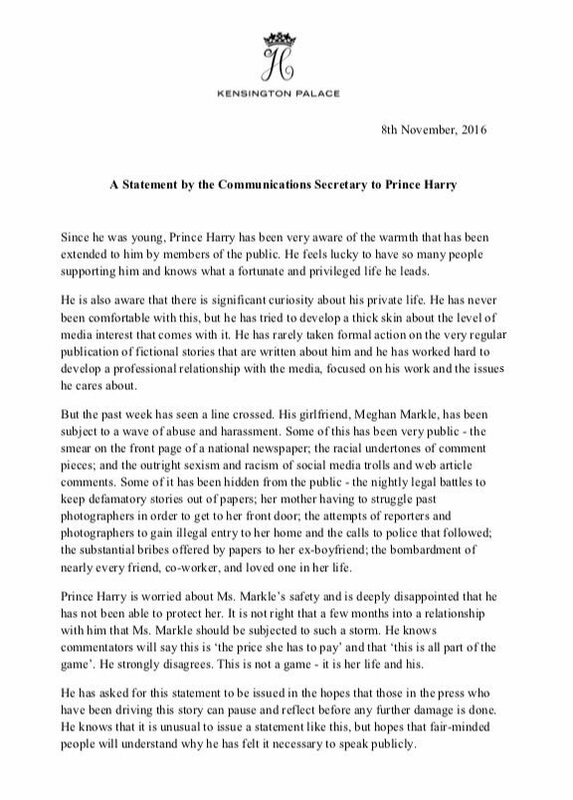 Prince Harry had to release a statement condemning all of the racist remarks and criticism they were receiving for simply being a biracial couple. 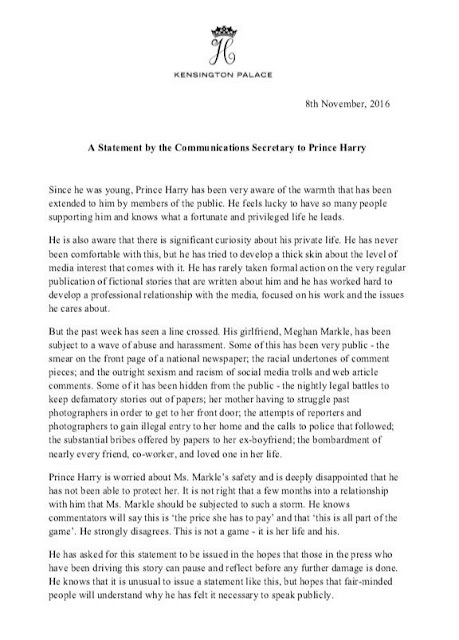 It was in this statement that the Prince officially referred to Meghan as his girlfriend. In December 2016, the couple was photographed together for the very first time. They were in London together going to dinner at Solo House, the place they first met. 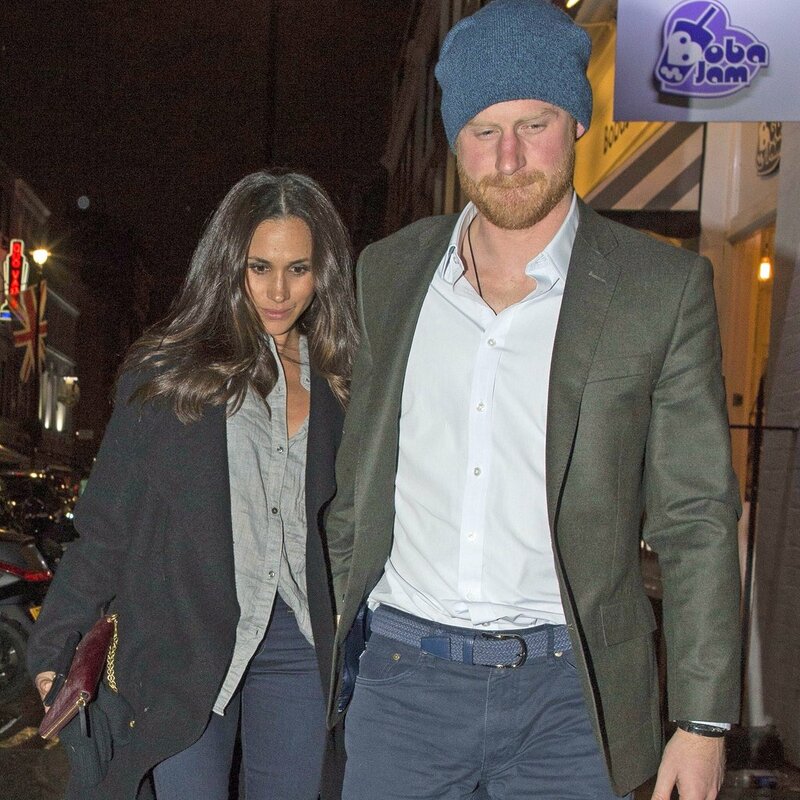 December 2016, Harry and Meghan spend a week in London together, and were spotted Christmas tree shopping together. Several days later the pair were spotted on a date. They enjoyed the popular play The Curious incident of the Dog in the Night-Time in London. 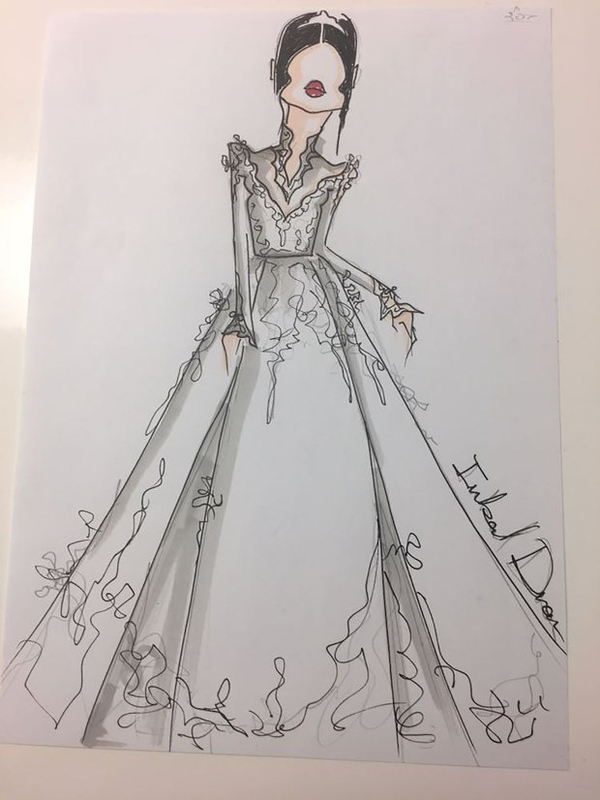 In January 2017 it was reported by US weekly that Meghan had been introduced to The Duchess of Cambridge and Princess Charlotte. The meeting went well, and Kate was very accepting of Meghan. In March of 2017, Harry brought Meghan as his date to his close friend’s wedding in Jamaica. Sources say they had a wonderful time sipping champagne and dancing together. 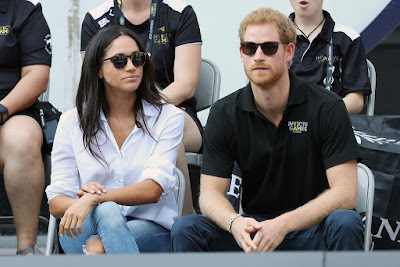 Meghan seemed very comfortable around Harry’s close friends. September 2017 They make their first joint public appearance at the Invictus games in Toronto. They both are just so natural together. They are obviously the perfect couple. November 2017: Meghan moved out of her apartment in Toronto and went to London, just before Thanksgiving. 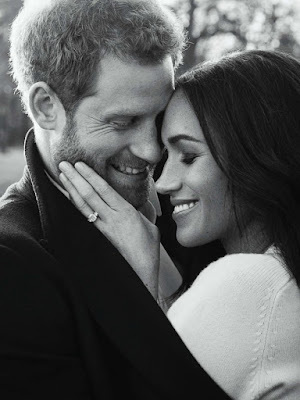 On the 27th of November I was overjoyed to hear the news that Prince Harry had proposed to Meghan earlier that month in their quiet cottage on a cozy night. Prince Harry designed Meghan’s ring himself! 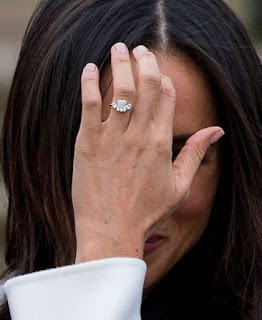 Jewelers Cleave and Company created a yellow gold band with one diamond sourced from Botswana and two smaller stones are from Princess Diana’s jewelry collection. Isn’t that just the sweetest thing in the world? Word on the street is that the makers of the ring are refusing to create exact replicas of the ring out of respect of the client so this is truly one of a kind. 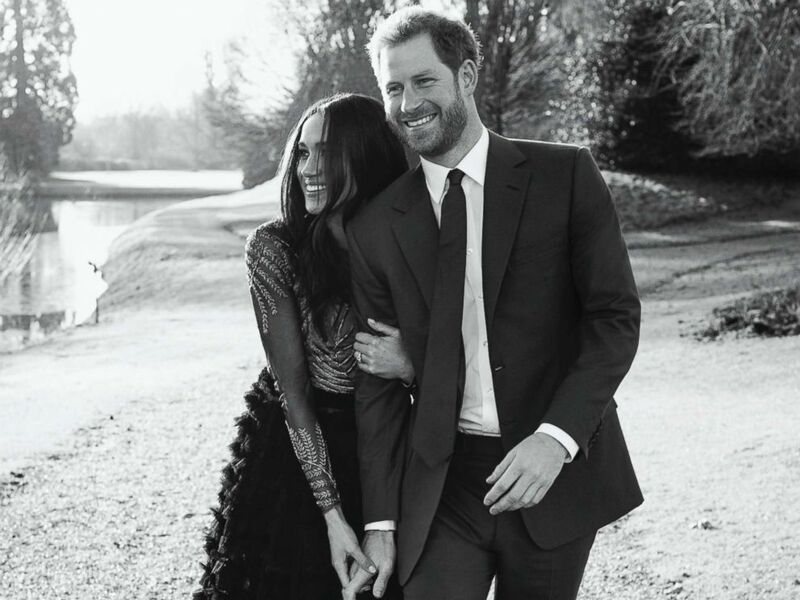 December 2017: Official engagement photos have been released by the Kensington Palace on Social Media. The images were shot at Frogmore house, a retreat close to Windsor Castle. The happy couple was photographed by Alexi Lubomirski on a beautiful day outdoors. Prince Harry wears a navy suit which I love. It is simple but different from the traditional black that I am used to. 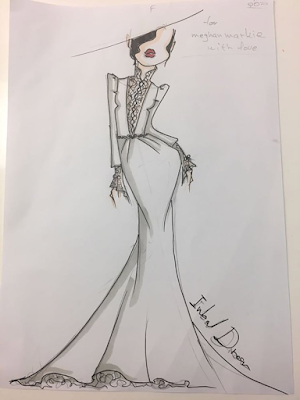 Megan wears an actual ball gown created by Ralph and Russo. It features a sheer top half that is beautifully embellished and a feathered bottom. It is rumored to be worth fifty-six thousand pounds. Three images were released. Israeli wedding gown designer Inbal Dror has revealed that requests for gown sketches have been sent from the Palace. 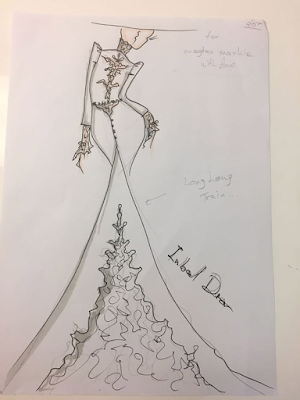 Of course due to confidentiality agreements, Dror is not able to give up any information about the potential gown. 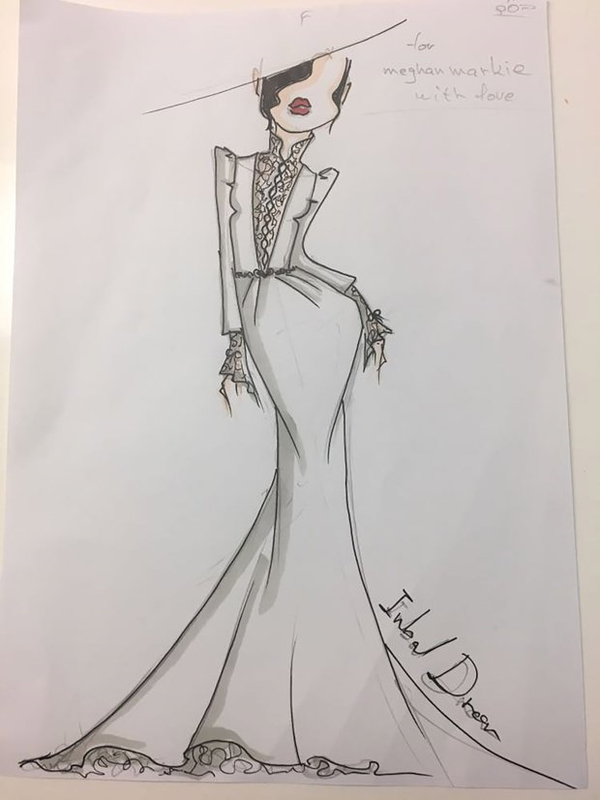 However, sketches do appear to have been leaked. So take a look at these and let's wait and see if any of them resemble the actual dress!